Effective use of low-voltage landscape lighting in your outdoor environment can simultaneously draw attention to special features of your landscape and light a dark pathway. It's where artistry meets function. YardWorks offers evening lighting demonstrations. 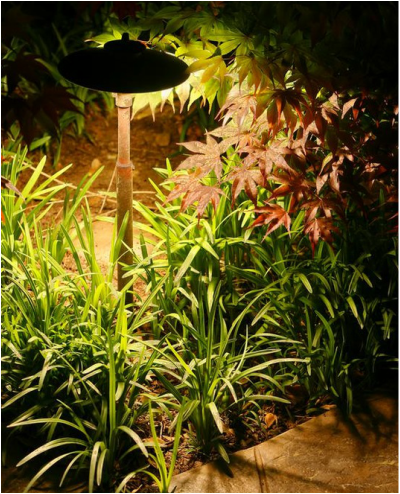 YardWorks is your source for artfully integrated low-voltage lighting to bring drama to your landscape, and our company invests in making sure we are experts in this vital element of creating an artistic outdoor space.